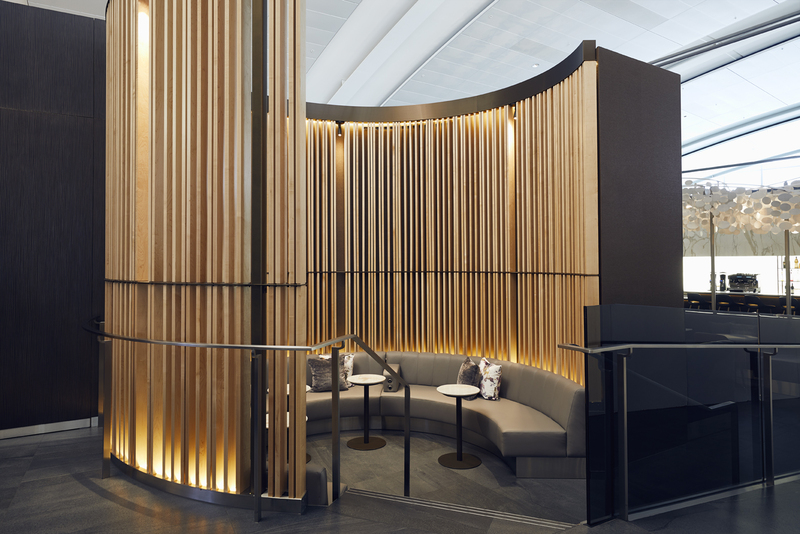 On November 29, the Air Canada Signature Suite for the airline’s top International Business customers was unveiled Toronto Pearson global hub. Designed by Montreal’s Heekyung Duquette, the new suite is billed as an exclusive airport retreat where eligible premium customers can dine à la carte at a complimentary, full-service restaurant from a menu created by acclaimed chef David Hawksworth, or enjoy hors d’oeuvres, champagne, fine wines and cocktails in an intimate, Canadian-designed and decorated setting. Pearson International Airport’s Signature Suite. Photo courtesy of Air Canada. 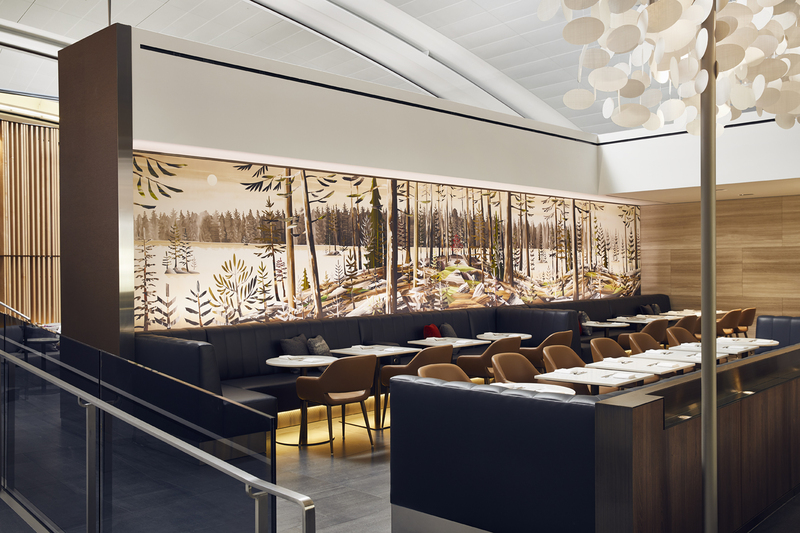 Catering to select international passengers, the space is accented by a mural by renowned Ottawa artist Gavin Lynch, as well as a Cloudscape Chandelier by acclaimed Toronto design firm Moss & Lam, and exclusive works by Montreal artists Pascale Girardin and Nicolas Ruel. 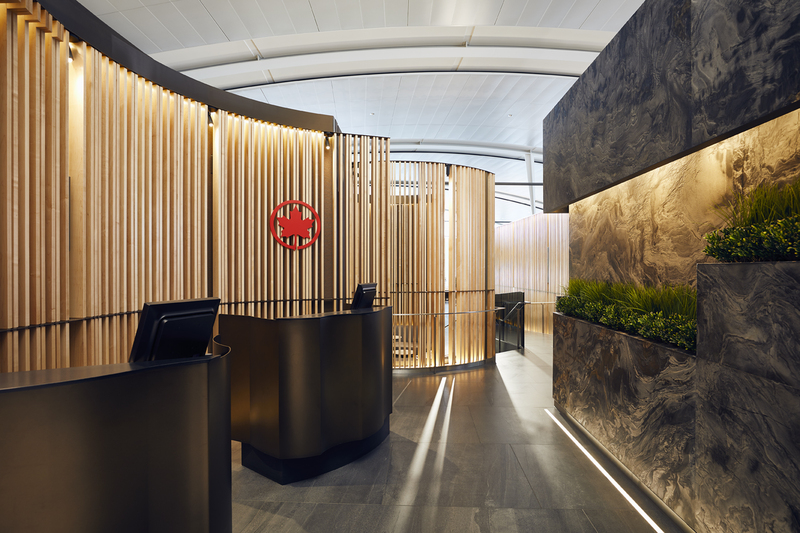 “The Air Canada Signature Suite provides premium Air Canada customers with a luxury experience unrivalled in North America that elevates Air Canada into the ranks of leading global carriers for discerning international travellers. Customers can indulge in an à la carte meal service in the suite’s complimentary restaurant or partake of fine wines, champagne and specialty cocktails in a relaxed atmosphere accented with original Canadian art and maple, marble and polished limestone finishes,” said Benjamin Smith, President, Passenger Airlines at Air Canada. 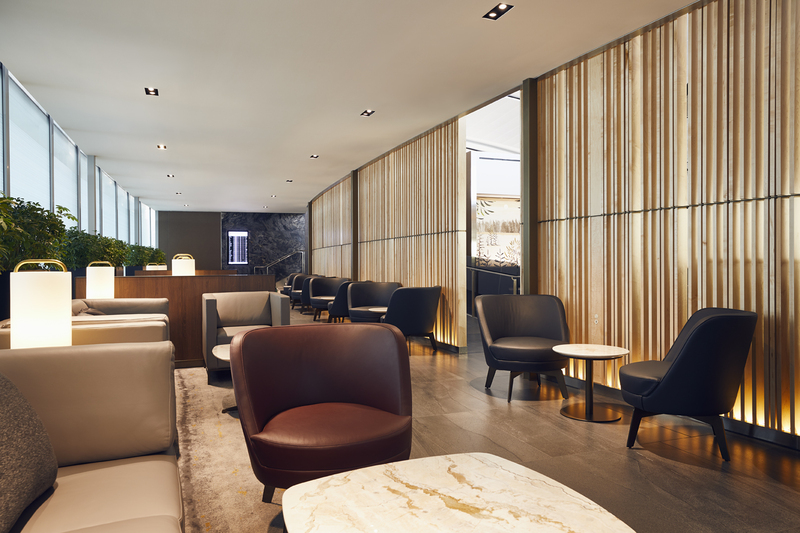 The Air Canada Signature Suite officially opens Dec. 1, 2017 and is accessible to all full fare paying International Business Class customers, excluding upgrades and most point redemption programs. 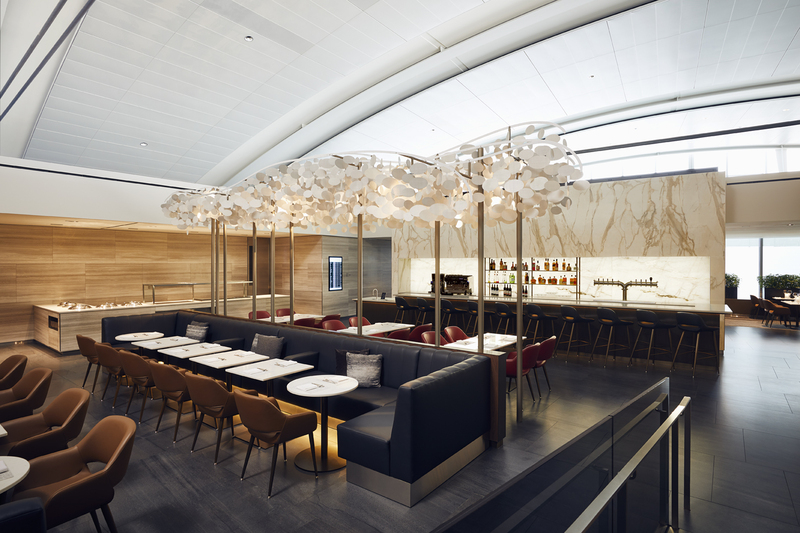 The 6,400-square-foot suite, conveniently located by Air Canada’s international departure gates at Toronto Pearson Terminal 1, can accommodate up to 160 premium customers and is fully complimentary. It hosts a full-service restaurant offering à la carte dining from a Hawksworth-designed menu. The suite also features a cocktail lounge space with full service bar and a selection of hors d’oeuvres and specialty snacks, a quiet sitting area and concierge service.